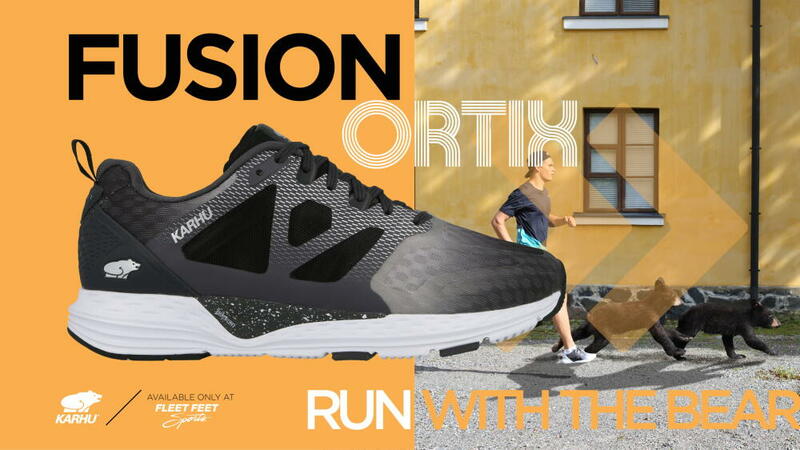 The Karhu Fusion Ortix is the first shoe that is built, top to bottom, in collaboration with Fleet Feet. The three main areas of focus are fit, cushion, and ride. Fit: The Fusion has a structural feature, the M-lace, that provides a secure fit around the midfoot. Cushion: A layer TPU is used under the sock liner to provide a soft step-in feel. Ride: Deep grooves, exposed foam, and blown rubber were applied to the midsole to increase flexibility and reduce the weight of the shoes - allowing for a smooth, comfortable ride.